When looking for goods online, a great deal is an obvious reason to pick an online shop. A Gucci bag for €24.99 or a new iPhone for € 399? Who wouldn’t want to grab such a deal! But scammers also know this and will try to take advantage of this fact. When looking at a website if a deal looks too good to be true, think twice and double check things. The easiest way to do this is simply check out the same product at competing websites (that you trust). If the difference in prices is huge… it might be better to double check the rest of the website. Social media is a core part of ecommerce businesses these days, and consumers often expect to see them on an online shop. Scammers know this and often use template designs that contain these elements. But scratch beneath the surface, and often times this functionality is not even working. The scammer(s) are often too lazy to actually implement a dedicated Facebook, Twitter or Instagram for their fake site (or don’t want a place for bad publicity to spread!). If there are functioning social media accounts, take a quick look to see if there are any posts. Often time if the website is a scam, angry users will let you know! Scammers often use placeholder or rushed text in these kinds of sections to give the air of professionality. If you find these pages don’t exist or are of poor quality (typos for example) think twice about this online store! Do you really think a business would put up incomplete or sloppy text if this was their business? A lot of fraudulent web shops use brand names (Adidas, Chanel, Apple) in combination with words like discounted, cheap or even free to get visitors via search engines. Brands usually don’t like to see their products being sold via this kind of web shops. Likewise, most serious online stores sell multiple brands and to not tie their livelihood to one brand. Also have a look at the look and feel of these websites. Aspects such as logos and picture are usually high quality on legitimate websites, as brands want to impress you with their products. Often scammers steal real media photos from various sources. This can mean that the look of a website can appear unprofessional, with odd looking formatting or low resolution pictures. Trustmarks are a method for third-party verification for an online store. This could indicate security or consumer rights protection for examples. However, scam websites also use them… not always legitimately! For example, they might have a picture of trustmark, but it won’t actually be a verified site, meaning they are misusing the logo and misleading you! One example of this is the McAfee Secure trustmark. If you see their logo on a website you are worried about, try clicking on it! If you find that this functionality is not working, head over to the McAfee Secure directory and double check that they are in fact a certified trustmark user. Still not sure about the website? Our advice here at Scamadviser is that if you are still unsure is to go with your intuition. Don’t let a great price cloud your judgement. If you have doubts, there are plenty of other shops to buy from. 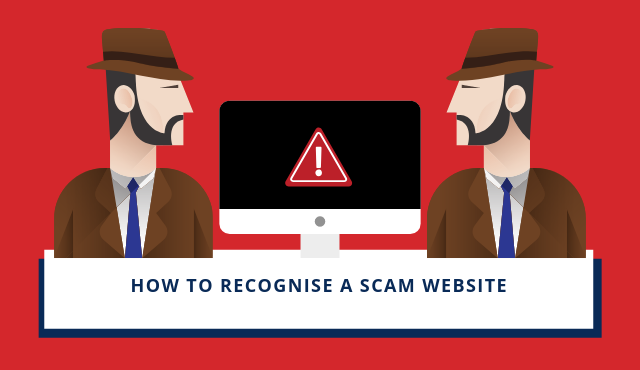 Find out more about specific types of scams in our in-depth 'How to recognise a Scam' series below! #Is the online store a scam? Obrigado por relatar um caso de uso indevido. we are leading matka tips and matka jodi provider.satta matka fix jodi open close panel will be fixed for you to earn money in lakhs.